We are in desperate need of monetary donations!!! We have had extreme medical expenses!! We are a 501(c)(3) tax exempt charitable organization. 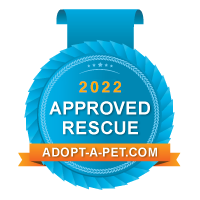 Committed to contributing to the welfare of companion animals through permanent placement and community education on sterilization, animal cruelty and neglect. We strive to provide necessary veterinarian care to ensure healthy animals. We educate people and promote the importance of spaying and neutering animals to prevent needless suffering and death due to overpopulation. An Open Letter To The People Who Tell Me To Adopt My Foster Dogs.